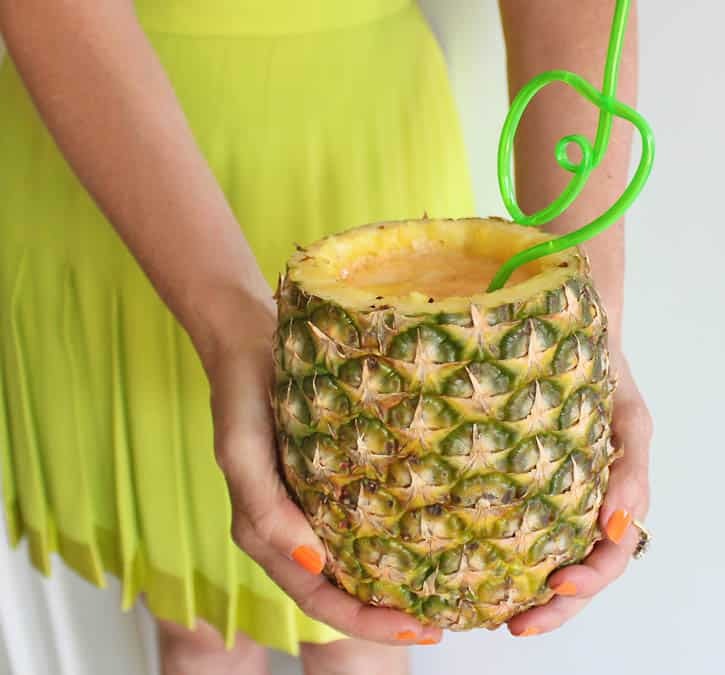 Converting a pineapple into a cup is a really fun idea for summer parties. 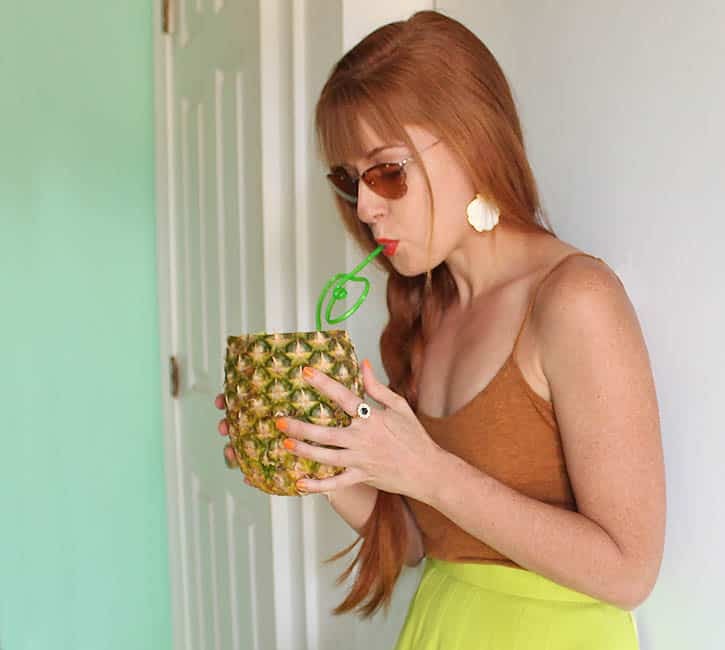 Nothing screams “vacation” like drinking out of a pineapple! A pineapple corer makes this whole process a breeze. Check out my video below to see how easy it is. I also included a recipe for a delicious Tropical Pineapple Cocktail at the bottom of the post. Cheers! Put the ice cube in a cocktail shaker. Pour in the rum, Galliano, pineapple juice and lime juice. Shake vigorously until a frost forms. 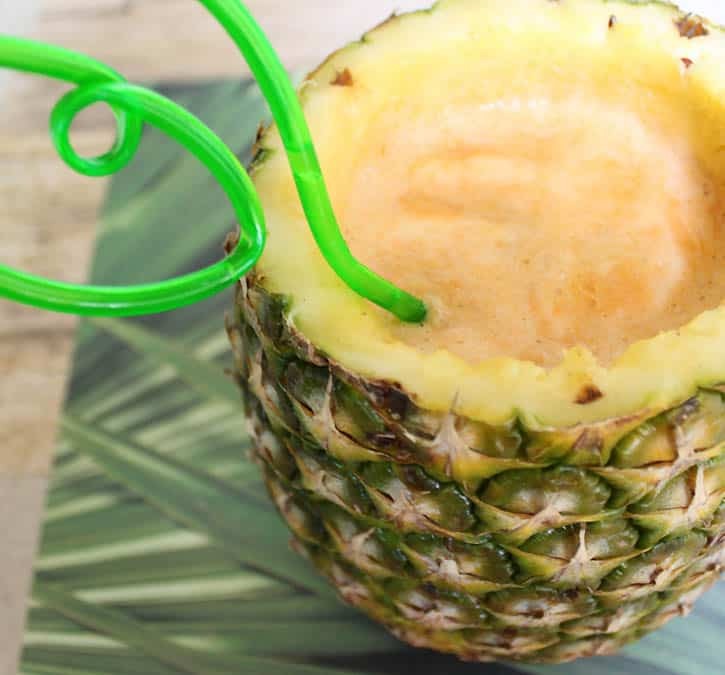 Pour into pineapple cup.